The Saffa method South Africa. Now a reader of Botsa website recently sent through a comment. This comment was a negative experience he has had with this crap system. Unfortunately for our reader this post exposing the Saffa method South Africa comes too late. The world is been filled new binary trading systems due to the growing popularity of this online trading method we know as binary options. This is great for traders as the trading platforms get better and improved for a higher quality trading experience. However this also opens a gap for untrustworthy software and people. So if you are seeking such trading methods please make sure you do due diligence and never deposit with these shady systems. This article is about one such system known as the Saffa method South Africa. So whats the deal with this highly marketed system? Its owned by a guy named Jake Mason and the system is free to sign up. 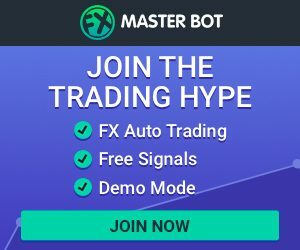 Its fully automated and traders basically don’t have to do a thing. Also apparently this robot “guarantees $800 to $1000 per day”. I highly doubt that. 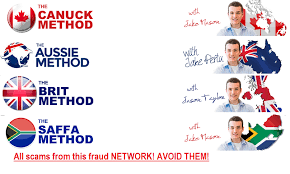 When looking closely at the marketing materials of the Saffa method South Africa you will notice it looks very similar to the Aussie Method system which is owned by a guy named Jake Petru. That system was marketing just like Saffa. Hmm, just consider perhaps they are the same person? who knows but the testimonials and explanation is the same so that raises flags. Even the signature is the same as the one that signs off a guarantee just like this one on the Aussie Method. Its crazy. In his highly marketed video The owner Jake basically guarantees you will make loads of money by using the automated system of his. Offering 24/7 customer support via live chat and email. However the video isn’t really forthcoming and quite vague about how the signals are actually generated. Its basically a video asking you to sign up, deposit your money and relax. No need to worry because you have Jake’s word and fake testimonials that just imprint the trust. To brainwash people further we see many pictures of expensive vehicles, beautiful holidays and such. Jake says you will lose out on been able to have those things if you don’t make it within the required 20 traders list. So you must hurry. It captures you by making you think that if you do not sign up now you will miss the chance to be one of the twenty needed and the door will be shut. This is a tactic used to make you sign up quick before even having the chance to do some research. Please guys be vigilant and don’t worry such systems are always just needing twenty or ten more even after hundreds of traders sign up and are left disgruntled. Huge profits – The system guarantees traders $800 to $1000 per a trading day. That’s quite impressive, with money like that you can drive that expensive car in the video. 100% Fully Automated – The Saffa Method makes trading simple and easy for anyone. You do not have to do a thing. No chart or market analysis. No use of your time which can be used in so many constructive ways. Just a deposit and you on your way to making about $300,000 a year with no effort on your part. Wow that is a great deal indeed. Sign me up can use that for holidays like in the video of the Saffa method. Simple, Easy Opening of an Account – Its so easy to sign up and make that first deposit. 30 seconds in fact as per our reader. (whats not mentioned is how long it takes to withdraw anything you may have left and what a mission also). 24/7 Client Support – The owner Jake promises around the clock customer service via live chat and e-mail. Free Web-based and Mobile software – The Saffa Method South Africa offers traders the convenience of free software to use for as long as they have the platform. No downloads needed its all handled online. Traders can trade whenever, wherever and have a multitude of assets that the system trades on. Making so much money from a $250 deposit with no action on your part nor explanation of how it is going to make you money must scream BS! The testimonials are from non existent people just try to trace one of those people. You wont be able to. The links take you no where. These testimonials are the same for all the CANUCK METHOD and the BRIT METHOD also just re-branded. Don’t believe it watch out please. Be suspicious of promises of tons of money and false heavy marketing. A nasty marketing gimmick we hate is the fact the they coax people with this 20 spaces left nonsense. Guys please stay away from this system and all trading systems that makes unimaginable claims. We highly doubt this system or others like it are legit. You deposit and its gone forever.. However it is new so lets see how it goes. Kindly comment if you have any experience or used this system please. Your inputs will be beneficial to many people out there. 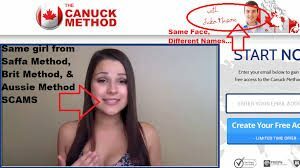 Also the related systems we have seen which we think are all the same person are: THE AUSSIE METHOD, THE BRIT METHOD and THE CANUCK METHOD. These different systems all country targetted to Australia, Britain, Canada and now South Africa with the Saffa method. So we think its the same guy. So please stay far away from them all.